1. Know the difference between introductory APR and real APR! It is easy to get fooled by credit card companies when they advertise a very low or non-existing APR rate, after all they want you to believe that will be the APR you will have to pay throughout the lifespan of you owning the credit card. While ultra-low introductory rates for a few months are nice, they only last a few months. Most people end up keeping their credit cards for years and years so you should focus on comparing the long term APR you will end up paying on your cards. Think of an introductory APR as icing on the cake but it should not play a major role when you compare different credit cards. 2. Annual fees are a big no-no! Do you really think that you should have to pay a yearly fee just to own a credit card? After all you have to pay interest on your balance each month and there are dozens of other fees you could potentially run into as well. There are enough high quality credit cards on the market to where you should not have to settle for a card that charges you an annual fee. Even if the annual fee is low, less than 50 dollars, it is still not worth it in my opinion. Most high quality credit cards will not charge you an annual fee anyways! 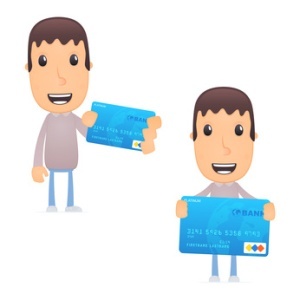 If you end up comparing several different cards rule out the cards with annual fees immediately! 3. When in doubt apply for multiple cards. If you are torn between two or three different credit cards do not be afraid to apply for all of them. It should not take you too long to fill out the applications and if you decide that you do not want to use one of the cards once you get it you can always throw the card into the trashcan. It is tough to get approved for high quality credit cards these days without great credit so it is probably a good idea to apply for several cards anyways. It is always better to have too many good options than not enough! 4. Another thing to remember is that there is more to a credit card than APR. While every percentage point in APR matters you also want to look for a credit card that has a good fee structure and gets good reviews from card holders. If you use your credit card responsibly, meaning you do not carry a balance month to month and you pay off your purchases during your credit cards grace period you will not have to worry about the APR you will have to pay anyways. APR is important but it is not the only thing you should look for in a credit card. 5. Do not forget about service! You not only want to have a great credit card, you also want to work with a great credit card company. Make sure, when comparing two or more different credit cards, that all the credit cards you are looking at will provide you with excellent service as well. If any of the credit cards do not have a dedicated support phone number you can call for any of your questions or concerns you should forget about those cards. A lot can go wrong with regards to a credit card, you can lose it or you can have a question with regards to rates, balances, or purchases you made with the card. You will want to work with people you can trust and people that actually care about your well-being when owning a credit card. Comparing credit cards is a great idea because there are so many and you should not settle for a card that does not meet your needs. Remember that your credit card experience comes down to you in the end, if you are committed to keeping your balance low to avoid paying interest and you only buy things that you can afford you will treasure your credit card regardless of its APR or rewards program.